Proposed AD plant in Wimblington refused by Fenland District Council. Common sense prevailed, with one dwelling only 16 metres from the site. ‘Fengrain discover a touch of Murphy’s Law – everything that could go wrong did as they lose AD plant vote. He’s not renowned for bringing an audience to its feet but Councillor Peter Murphy was in an unforgiving mood in protesting against an anaerobic digester plant in Wimblington. Frustrated by two hours of debate at Fenland District Council over whether to allow Fengrain to go ahead with AD plant in Hook Lane he urged “let commonsense prevail over commercial greed”. He brought a 70 strong group of protestors to their feet as his argument to refuse the application gradually won colleagues over. Only two Wisbech councillors, Dave Patrick and Michael Bucknor, voted for the application, the rest grinding out reasons for refusing it. Officers and planning chiefs will now formulate the reasons for refusal to minimise the chances of Fengrain winning an appeal. Fengrain managing director Paul Rendle described the AD plant as a “vital cog” in defending the livelihoods of local farmers and claimed residents would not be “unduly inconvenienced”. After the meeting he criticised Councillor Dave Connor and MP Steve Barclay for not taking up invitations to visit the site. He also felt many of those objecting were not from the Hook area of the village and therefore not directly affected. 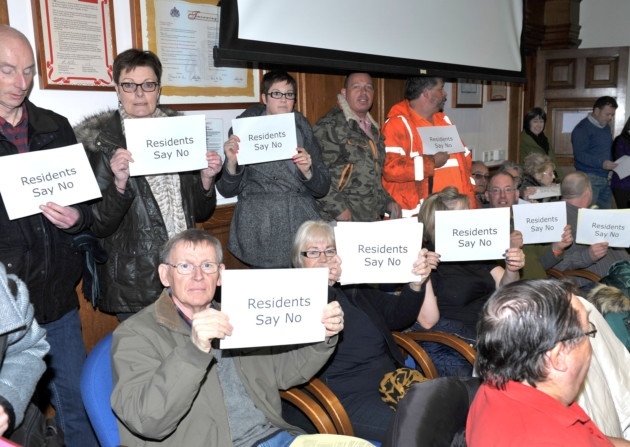 But with 131 letters of objections – and a further 400 objections sent recently to the council- the odds were stacked against Fengrain, even though council officers had recommended it for approval. Cllr Connor predicted smells from the AD plant would “be overwhelming and it would also have a detrimental affect on the countryside. We should learn from the past”. Fertilizer company boss Mark Laws said the AD plant “puts me in a vulnerable position” claiming it could impede access but also warned of a chemical and gas risk. Councillor Will Sutton said he had asked himself if he would be happy with an AD plant on his back door “and after thinking about, no I wouldn’t”. He was not convinced odours could be abated. Chief planning officer Graham Nourse said a decision needed to be made on specific planning grounds after highways and health objections were dismissed from evidence provided by the county and district council officials. But Cllr Murphy ploughed on, citing specific planning policies from which objections could be formulated – and others councillors arguing for localism to prevail. Selling fresh milk direct to local people from the local farm. “Cows Own”, Blue Slate Farm, Twemlow Lane. Simple and easy. Place order > State time and when you want to collect > or have it delivered for small fee. 4 pints of our fresh and nutritious milk for £1.50. We ask, if you want delivered to your home or workplace, for a small fee of £1.50 to cover running around costs OR you can come to the farm (with or without your own milk containers) for collection here. 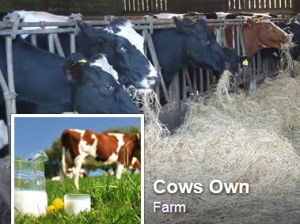 If you would like to place a milk order please either inbox or message Cows Own on our facebook page or alternatively use our contact numbers listed above (text/answerphone message is fine if no answer). Fresh milk from Cows Own. https://you.38degrees.org.uk/p/pore It is due to be decided on the 3rd February 2015. Crouchland propose increasing the numbers of large compressed gas tankers and HGVs. They cause traffic disruption, continual road & verge degradation and unsafe roads for walkers, riders, cyclists and other motorists. Their transport routes are throughout our villages and rural roads, on the B2133, down the A272 and further afield. Exactly, “they must be in the right place”. Sage advice.